So you enjoyed The Hunger Games and since you’d never read anything quite like it before, you’re not sure what to read next? The dystopian novel is enjoying a wave of popularity, so there is plenty of reading material to choose from. 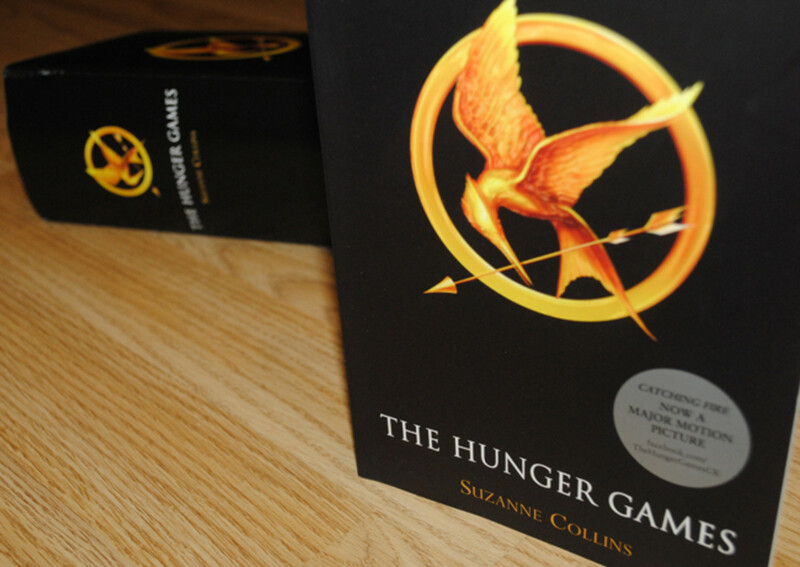 Like The Hunger Games, many of the stories are series of novels rather than single titles. This series consists of two books so far: Divergent and Insurgent. There’s a third on the way, and Veronica Roth has jokingly said it will be called Detergent! However these books are not comedies, but are definitely dystopian novels. 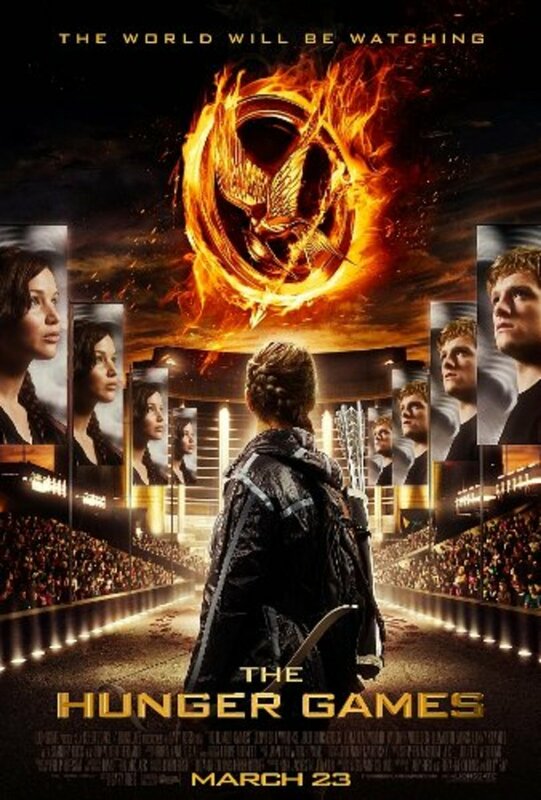 They are set in Chicago of the future and like The Hunger Games feature a sixteen year-old girl. Chicago is fenced in and its inhabitants are divided into 5 factions: Abnegation, Amity, Candor, Dauntless and Erudite. Each of these factions values one quality above all other: Abnegation values selflessness, Amity values peace, Candor values honesty, Dauntless values bravery and Erudite values knowledge. 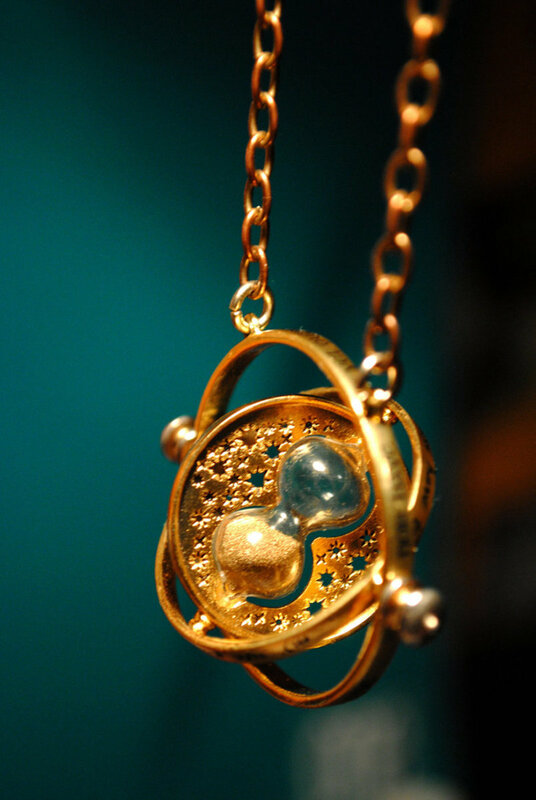 Although everyone is born into a faction, at sixteen they must sit an aptitude test that will reveal to which faction they are most suited. After that they must choose the faction to which they will belong for the rest of their lives - they don't have to choose the one they most suited to, but after choosing, the young people must undergo initiation into their chosen faction. Failure complete initiation makes a person factionless. The factionless get the unpleasant jobs that nobody else wants and live in poverty. Tris was born into Abnegation, but unlike her brother Caleb, selflessness does not always come naturally to her. By the day of her aptitude test she already knows she wants to leave her family, even if she doesn’t know which faction she wants to join. Her aptitude test is equally inclusive: Tris could belong to Abnegation, Dauntless or Erudite, making her a Divergent. This, the test administrator warns, is extremely dangerous. She tells Tris never to tell anyone the result of her test. At the choosing ceremony, Tris is already struggling to make her decision when Caleb is called and chooses Erudite. If he isn’t suited to Abnegation, what chance does she have? She chooses Dauntless. Now Tris must learn to fight, something she has never done before. And she must do it without drawing attention to herself, without anyone realizing she is Divergent. How is the Divergent Series like The Hunger Games? These novels deal with violence in a similar way to The Hunger Games, not glorifying it but showing its destruction of society and individual people. By the opening of Insurgent Tris is traumatized. 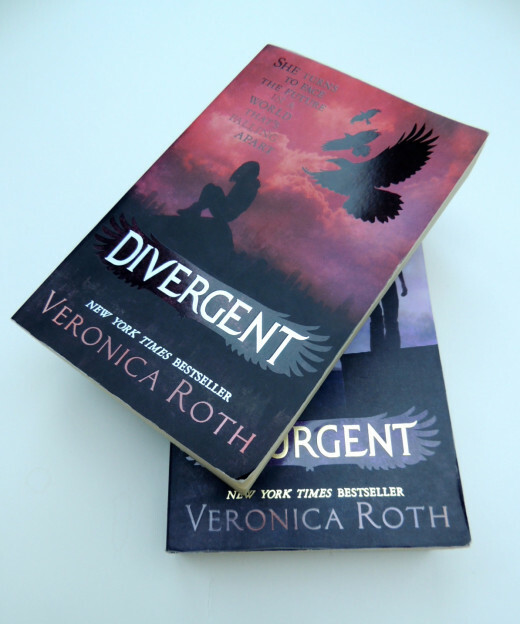 Both series contain a rebellion against government, and in Insurgent Tris must fight in that rebellion. 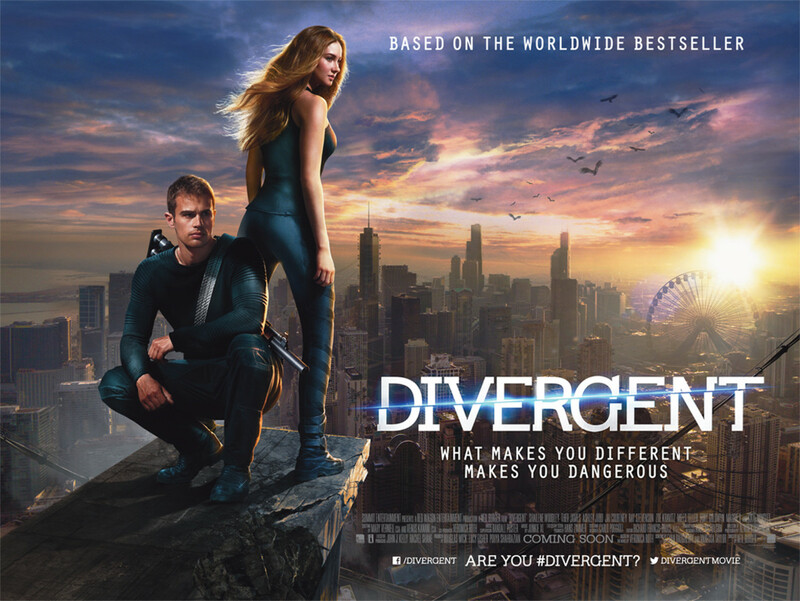 How is the Divergent Series different to The Hunger Games? It is contained within a city and there is no reality television element. Slated is available on Amazon.com. This novel is dark, both in subject matter and in atmosphere. It has the feel of a movie filmed in semi-darkness. The importance of this soon become apparent when we meet Kyla, a sixteen-year-old girl who has been slated. She is in a hospital somewhere in London and is about to go home with her family. Except the Slated are taken from their families and placed in new families, so she has never met them before. As far as Kyla knows, she used to be a terrorist. That’s what the government says, and all young people under eighteen who have committed a crime are slated. This means that they are have all their memories wiped and are given new memories. They must wear a “Levo” on their wrist to measure their happiness levels. Anger, depression and other negative emotions make the Levo’s reading drop – and if it goes too low they could pass out or even die. Chocolate raises the Levo and so does the jab from a nurse’s needle just before Kyla goes to meet her new parents. But as the opening sequence suggests, Kyla’s past doesn’t stay as buried as it should. And remembering the past can be dangerous for the Slated. To make matters worse, there’s a boy that Kyla likes, and that is forbidden for the newly slated. 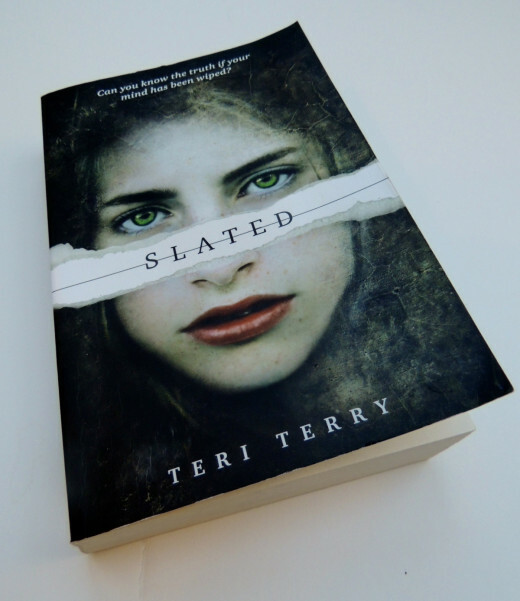 Slated is the first book in a series, and its sequel Fractured is due for publication in May 2013. How is Slated similar to The Hunger Games? It has a dystopian setting, with a sinister government. The main character is a strong, sixteen year-old girl. She is in danger, and the chance of happiness with the boy she likes seems as fragile as it did for Katniss and Peeta. How is Slated different to The Hunger Games? It is set in the UK rather than North America, and the action takes place in an area outside London rather than in an arena. There is no reality television show. The violence is subtler, but chilling: people disappear rather than die. The Selection is much lighter than the other novels reviewed, and could probably be described as a dystopian Cinderella. This novel opens at a time of relative peace after a big war, and what was once the United States is now Illéa, ruled by a monarch. The war ended in a major treaty with China, and now Halloween are a thing of the past and New Year is celebrated in January or February, depending on the moon. This is important to America Singer, the main character. Her family belongs to the artists’ caste, just three from the bottom of Illéa’s caste system, and it is at these celebrations that artists make their money by singing and selling their art. Illéa’s society is structured into 8 castes, with royalty at number 1 and the homeless at 8. Those in higher castes have plenty of wealth, while the poorer castes are left to struggle. Rebels frequently attack the Palace or government buildings, including the local magistrates’ building. When a letter arrives inviting America to take part in a reality television show, her mother is ecstatic. This is their way out of their financial difficulties. For this reality show is The Selection, and the prize is Prince Maxon. America doesn’t want to take part because she is secretly in love with Aspen. He is from a caste lower than America and his family struggle to have enough food. But proud Aspen resists America’s attempts to give him food. And he shocks her by saying she should enter The Selection. Reassuring herself that she won’t be picked, America reluctantly agrees. 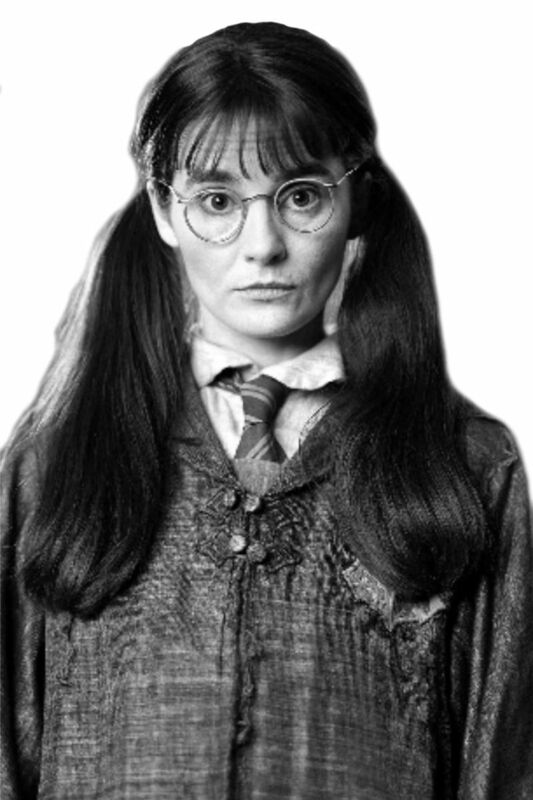 Of course, she is picked to appear in the show (or the novel would be over rather quickly!) She becomes friends with Prince Maxim, too, but everything is far from straightforward because she still loves Aspen. 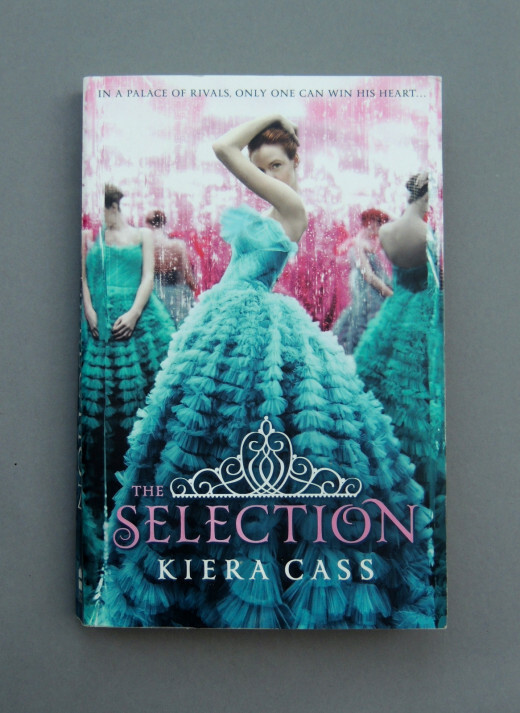 How is The Selection similar to The Hunger Games? It has a reality television show, with a heroine who would rather not be there. It has a love triangle. How is The Selection different to The Hunger Games? Although rebels attack The Palace while she is there, America is not in constant danger. At the start of the novel she does whatever others want of her, and has doesn’t know her own mind. Rather than fighting of her life as in the other dystopian novels, she is learning to follow her own path. This novel is definitely aimed at teens rather than young adults. 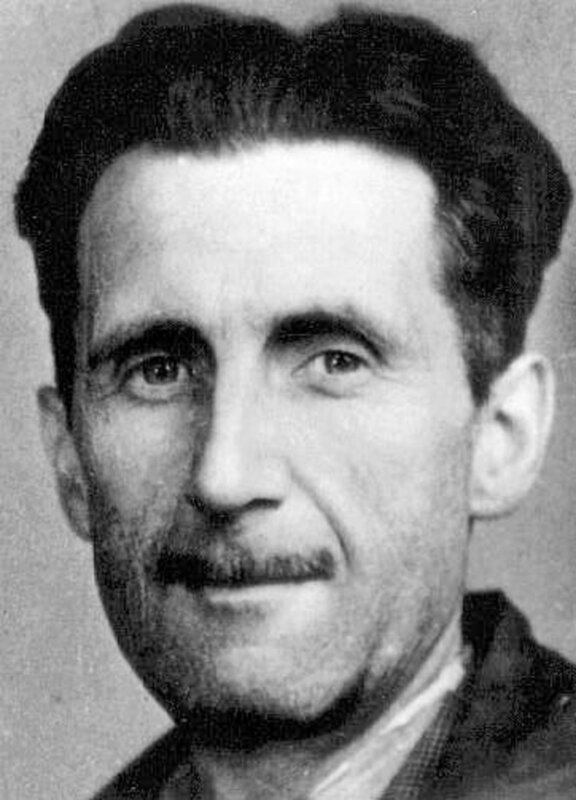 George Orwell wrote Nineteen Eighty-Four in 1948, three years after World War 2 ended, and just as the western world and the communist countries of Eastern Europe began the “Cold War.” This was a time of great distrust and frequently it seemed that a major war might break out. The United States and the USSR were the two major countries on the opposing sides, with China in the throes of civil war. However, Winston Smith secretly despises the government, and keeps a journal of his “negative thoughts.” He hides in an alcove of his apartment to do this, in the belief that the telescreen’s camera doesn’t reach that far. But even if he didn’t write a word, he had committed the worst crime of all: Thoughtcrime. So he lives in fear of being found out. Meeting, and falling in love with Julia, does nothing to ease that fear, since all relationships are forbidden unless sanctioned by the Party. Can Winston and Julia take on the might of Big Brother and win, or will they be destroyed? You’ll have to read the ultimate dystopian novel to find out! pstraubie48, good to hear I'm not the only one who gets her reading material from her daughter! Young adult novels are great to read when you don't have a lot of time, or at least well-written ones are. Glad you enjoyed the hub and thanks for your sweet comment. Wishing you a great festive season. Oh yes, Veronica Roth books are great. My daughter passed them on to me after she read them and now we are waiting for the next. Thanks for sharing this with us. Hi Natasha, hope you enjoy them the suggestions. We're big Hunger Games fans in our house too. Thanks for your comment. Sounds like me! I devoured the Hunger Games and have been somewhat lost ever since. Thanks for the suggestions - I've only read one before. tillsontitan, I'm sure I have read at least one of your Hunger Games hubs! As for 1984, it's amazing how many common sayings come from it, and many young people today probably have no idea of their origins. I'm glad you found these reviews tantalizing. Thanks very much for your kind words! I too read all three books in the Hunger Games Trilogy in less than three days...devoured might be the better word. The reading is easy and the books are well written (I wrote three hubs about them). However, the matter here is your wonderfully informative hub! This was a great read. You've described each book with a tantalizing flavor that doesn't give away the cake! 1984 was certainly the Big Daddy and many books are judged against it..."Big Brother is watching you" is a very famous line. The movie 1984 was coincidentally released in 1984 and the majority of critics praised it as one of the best movie adaptations. Your book reviews could very well be rated one of the best book reviews! Voted up, useful, awesome, and interesting. Guess I'll have to get these books. Thanks Jools. I also enjoyed the The Hunger Games book and film. I read it to see what my daughter was reading and was surprised at its depth. These are mostly her choices too, and then I got interested - with the exception of 1984 which she hasn't yet read but I have. Hope you enjoy these books too! Yvonne, interesting hub. I have just finished reading and then watching Hunger Games which I enjoyed immensely and your choices at least give me some ideas for future reading. Vinaya, if you have read 1984, you have read the "Daddy" of these other novels. Apart from 1984, most of these are aimed a the Young Adult/teen market, but they are worthwhile for adults to read too. My daughter reads them and then I get curious and read them too. Slated is probably the one I'd recommend most. Thanks for your feedback on the formatting and design of the hub - I find it a little challenging with this review type of hub, so it's good to know it's working! The Selection and The Hunger Games both are new titles for me, however, I have read 1984. I loved the formatting, the subtitles and design of this hub. Good hub. Marcy, I read The Hunger Games series in a few days too! I decided it was time I knew what my daughter was so keen on. She is a voracious reader and currently her favourite books are dystopian novels so she and keeps introducing me to new writers in the genre. 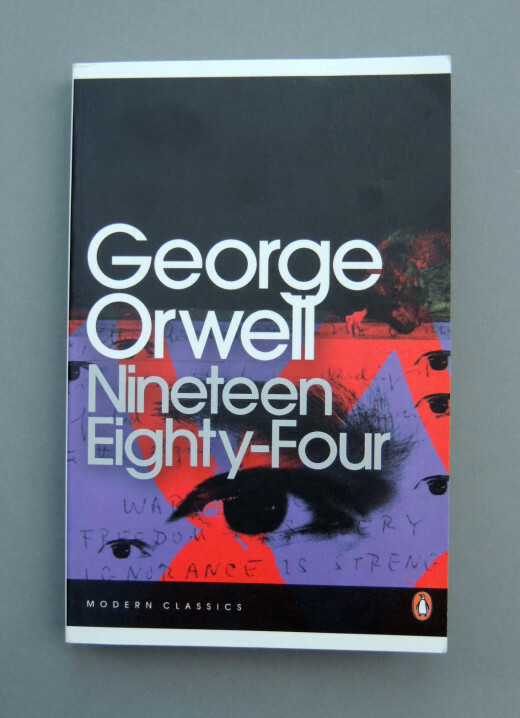 But I also think it's time she read the all-time classic, so I've introduced Nineteen Eighty-Four. ElleBee, The Selection is definitely the lightest of these, and fun. Thanks for your comment. Nettlemere, I have (I think) heard of Jasper Fforde, but not (his version of) Shades of Grey! It sounds like it would be more worth reading than that other book of the same name! I just looked him up and there's even a Shades of Grey website - it looks good! I shall included in the extra section, thanks for the info! Carol7777, thanks for your comment and vote up. I'm glad you found the information about right. Reviewing books is fun, but definitely don't want to give away too much. 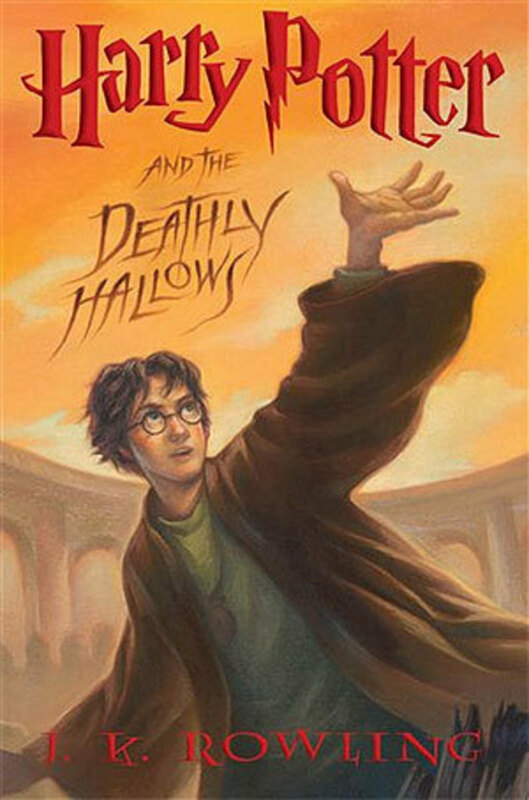 Well, I plowed through Hunger Games (all three books) in about 2-1/2 days, so I'm ready for another fix! I will check these out - they sound good, and I think you definitely have a good take on the Hunger Games trends! Voted up! This is a great list of suggestions. I look forward to reading some of them soon :) The Selction looks really great to me! And like carol said, I love that you gave enough info to entice us, but withot spoliers. voting up and interesting. Those look a really good selection of dystopian books - I can recommend the (slightly unfortunately titled) 'Shades of Grey' by Jasper Fforde as an extra title. In it the character's lives are dictated by their varying abilities to see colour. Great job on reviewing..Just enough information to sway us one way or another to read..Depending on our personal choices. Voting UP and sharing.